Jobee on github some piece of programming. Beehive model bees and varroas mite evolution in time. 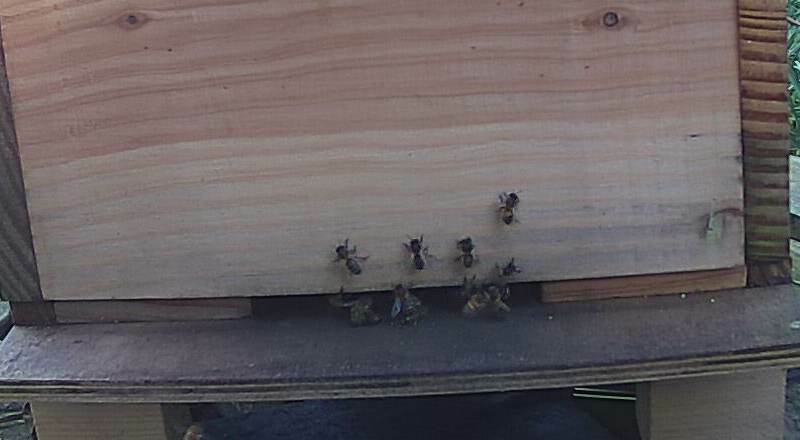 Temperature, humidity, infrared in/out detection, beehive weight, sound, mouvements by accelerometer, logging datas. Autonomous as possible. Arduino is the tool for learning, nearly every information can be easily logged with time on a memory card and should be able to run with small batteries for weeks. 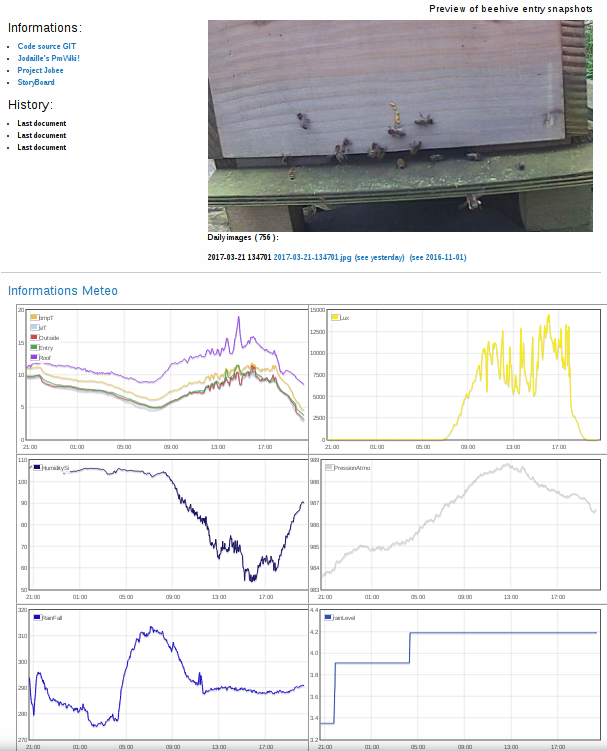 Beemonitor "Honey Beehive Monitoring Project", nice to see temperature in live, bravo. 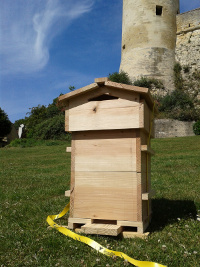 Sound of beehive analysis seems promising to know and monitor health of colonies. I have ordered two kits of PlainDSP to be able to make sound processing. I have just receeived the kits, now it is time to read the book. The first aim is to develop an "eMenu" for "La Cagna", my neighbor and favorite bar. You can see a staging version of LaCagna project following this link. Temperature and humidity with a DHT11, water level with ultrasonic (ping) sensor, low water level with two stainless steel nails and internal pull-up resistor of Arduino (Yeah! ), light resistor and an RTC clock to build a "json like string" to serial log. Arduino is powerfull, associated with OpenWrt: it rocks ! But hardware and software mixing is difficult. You can follow my little experience about it. Some photo soon, up to 200 people. Many thanks to Audiotech !!! KYU Systems® labs develops high performance sound systems. Well It could be nice so to have some XO15 at start for "small" parties.